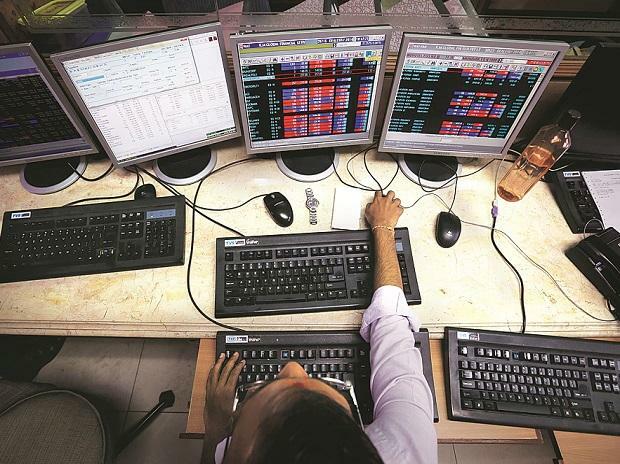 The benchmark indices pared their day's gains and closed nearly half a per cent lower on Tuesday led by a fall in TCS, Infosys, RIL and HDFC twins. The S&P BSE Sensex ended at 35,353, down 146 points or 0.41 per cent, while the broader Nifty50 index settled at 10,605, down 36 points or 0.34 per cent. Among sectors, the Nifty IT index ended around 2 per cent lower driven by a fall in TCS and Wipro. The Nifty Pharma index, too, settled 0.3 per cent lower weighed by Auropharma and Dr Reddy's Labs. In the broader market, the S&P BSE MidCap index ended 72 points, or 0.53 per cent higher at 13,868, while S&P BSE SmallCap index settled at 13,159, up 40 points, or 0.31 per cent. Shares of Balrampur Chini Mills rose 3 per cent to hit a 52-week high of Rs 124 apiece, gaining 22 per cent in the past two weeks on the BSE, after it reported strong earnings for the quarter ended December 2018 (Q3FY19). Foreign flows into emerging Asian bonds turned negative for the first time in four months in January, data showed, suggesting that a shift away from a tightening bias for regional central banks is dimming the attraction of its debt. Foreigners sold a net $3.27 billion worth of bonds last month, the highest since June 2018, data from central banks and bond market associations in Malaysia, Thailand, Indonesia, South Korea and India showed. The five markets attracted $10.1 billion worth of foreign money in 2018. Most Asian central banks raised their policy rates last year in an effort to defend their currencies and curb capital outflows as the U.S. Federal Reserve hiked interest rates four times.